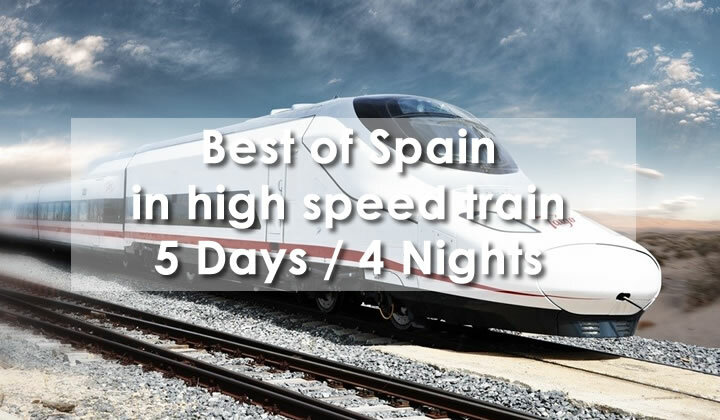 Spain in AVE is a circuit around the main Spanish cities with high speed train AVE, visiting them comfortably, avoiding long bus trips and staying in 4 star hotels in full board accommodation within the cities visited. Pick up of the group at the airport / hotel / resort. Start the trip in AVE, a sightseeing tour of Barcelona including lunch in restaurant the center. In the evening, departure to Madrid. (Journey length 2.30-3.00 h). Transfer, dinner and overnight at 4 * hotel. Breakfast. 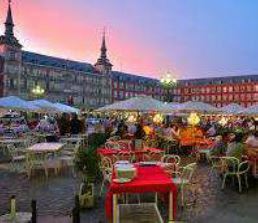 Full panoramic tour with an official guide including entrance to the Palacio Real and the Prado Museum. Lunch at local restaurant. Dinner and overnight. Breakfast and transfer to the Atocha station to take the AVE in the morning. 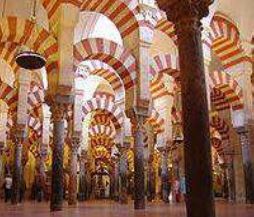 Arriving in Cordoba. Sightseeing tour including traditional lunch. Transfer, dinner and overnight at 4 * hotel. Breakfast and transfer to the station. 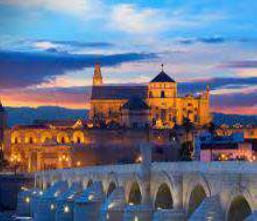 Departure and arrival to Sevilla with AVE. City tour with an official guide including a visit to the Cathedral or the Alcazar upon availability. Lunch included. Evening transfer to hotel, dinner and overnight at 4 * hotel. 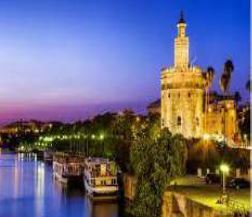 Breakfast at the hotel and morning at leisure to walk around through the center of Seville. Transfer to the station and the AVE departs to Barcelona. Arrival to Barcelona and end of our services.